The article presents the improved design, modeling and simulation of a new type of MEMS electromagnetic scanning system, based on a moving matrix of permanent magnets. The previous design solution, using a mobile part as mirror and actuator, has some limitations explained through modal analysis. The second design, whose functioning is explained also through modal analysis, allow better performances and reduce disadvantages observed in the first case. The work was conducted in the framework of AEEL PNCD II PT PCCA 249/2014 research grant, code PN-II-PT-PCCA-2013-4-1557, financed by the Romanian National Authority for Research, Development and Innovation - UEFISCDI. 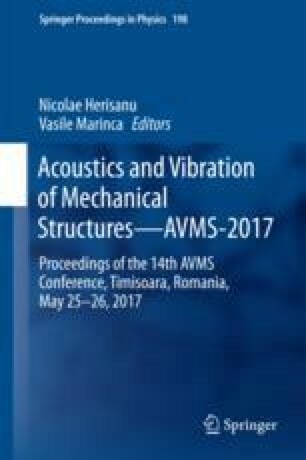 The authors thank to professor Alexandru Morega from the Laboratory for Multiphysics Modeling at the University POLITEHNICA of Bucharest for the permanent support.